According to the Administration on Aging, there are currently around 8.4 million senior citizens who depend on others for their transportation. Because the skills and abilities associated with driving may diminish with age, many older ones are not comfortable driving themselves. In many cities, public transportation is much easier and less stressful for the elderly. Although public transportation can be an ideal solution for many seniors, it does present possible complications and dangers. Seniors may wish to enlist the aid of their caregiver instead. Licensed caregivers with their own vehicle can be matched to clients with transportation needs using ClearCare Online’s homecare system and homecare software. Occasionally there may still be a need for using public transportation. By using common sense and taking a few simple precautions, seniors can travel safely. One of the most important safety tips for traveling is knowing when to use public transportation, and when not to. Seniors are most vulnerable at night, when criminals are most active. Subways can be especially dangerous, as the trains and platforms may be deserted. Bus stops also pose a hazard if they are in an isolated area. If possible, avoid traveling after dark. Here are a few other tips to help keep you safe. Stay alert at all times. Avoid napping, especially if you are carrying a purse or shopping bags. Be wary of strangers who sit too close when there are other seats available. If you feel uncomfortable, don’t hesitate to move. Do not carry too many packages; always leave one hand free to grasp railings. When you enter or leave a taxi or bus, watch your step and look for slippery or uneven pavement. Keep your bus fare ready to avoid losing your balance while searching for change. Always wear your seatbelt. If no belt is available, brace yourself when the subway or bus is slowing down or turning. Consider carrying a personal alarm to scare off a potential assailant. 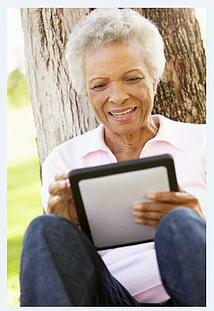 Many seniors live at home with the help of a homecare system or homecare software, such as ClearCare Online. Their daily care is supervised by a qualified caregiver, who may also be able to provide transportation when needed. Doctor appointments and social engagements can be scheduled using the caregiver’s homecare software. ClearCare Online’s homecare system also generates alerts when caregivers’ licenses are up for renewal, so seniors needn’t ever worry that their caregiver is driving without a valid license. ClearCare Online’s homecare system and homecare software can also match appropriately trained caregivers if you suffer from a specific health condition or require certain therapies and treatments. Many seniors find that remaining at home for therapy, rather than traveling to a clinic or rehab center, is much less stressful. Helping keep seniors safe and comfortable in their home is the primary objective of ClearCare Online’s homecare system and homecare software. 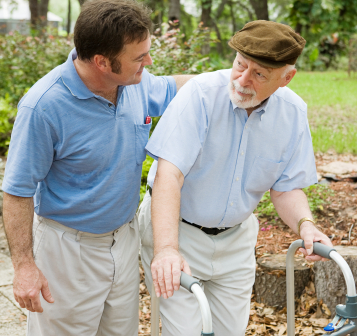 For more details on what kind of caregiver might be right for you or your loved one, please check out this article.